Kestrels are fantastic flyers. They must be one of the only birds out there that are quick enough to catch a dragonfly. 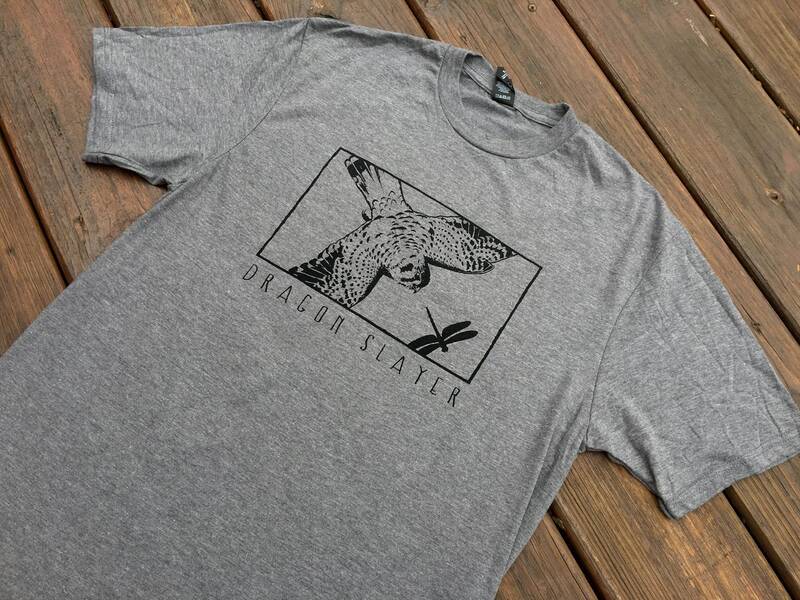 This shirt design was inspired by a crazy Kestrel that I watched chase down a huge dragonfly as it weaved in and out of traffic in downtown St. Louis. As always, I sketched this design by hand and will hand screen print it on your choice of in-stock clothing.